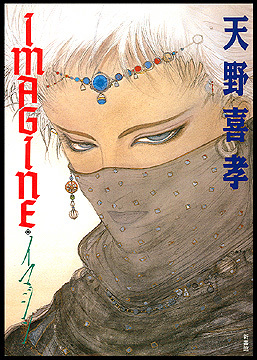 Information: One of the first art books to collect the works of Yoshitaka Amano. Not surprisingly, this book centered a lot on his work at Tatsunoko, as he had only recently left the studio to pursue his freelance career. The book included a number of original illustrations of Gatchaman characters drawn in various styles, and a section at the end of the book discussed the characters of Jun and Berg Katse, which he helped design for the original Gatchaman series.